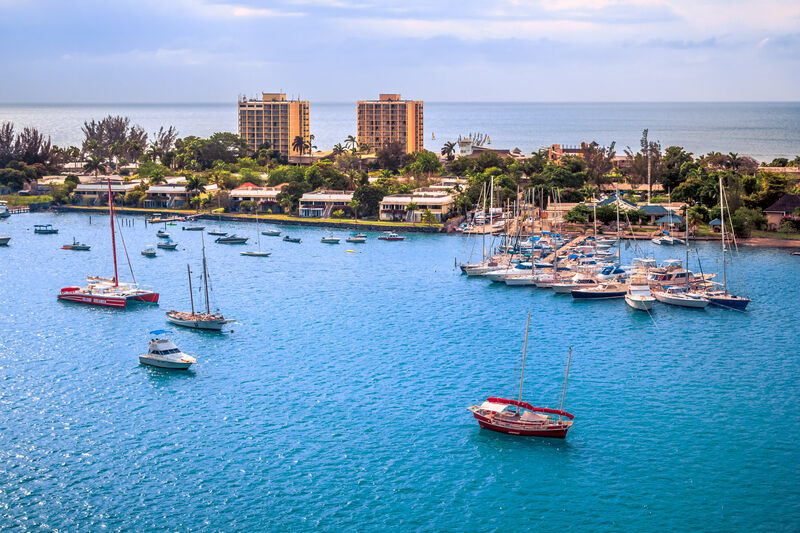 Sailboats cruise the harbor at Montego Bay, Jamaica. 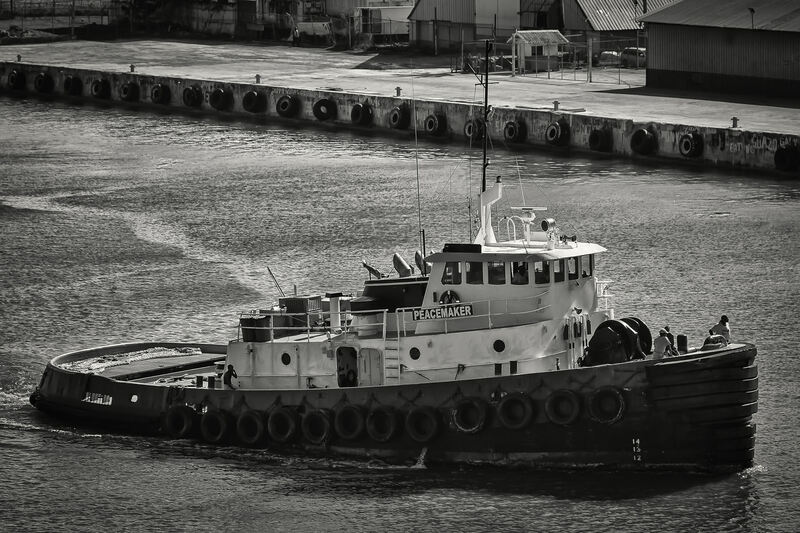 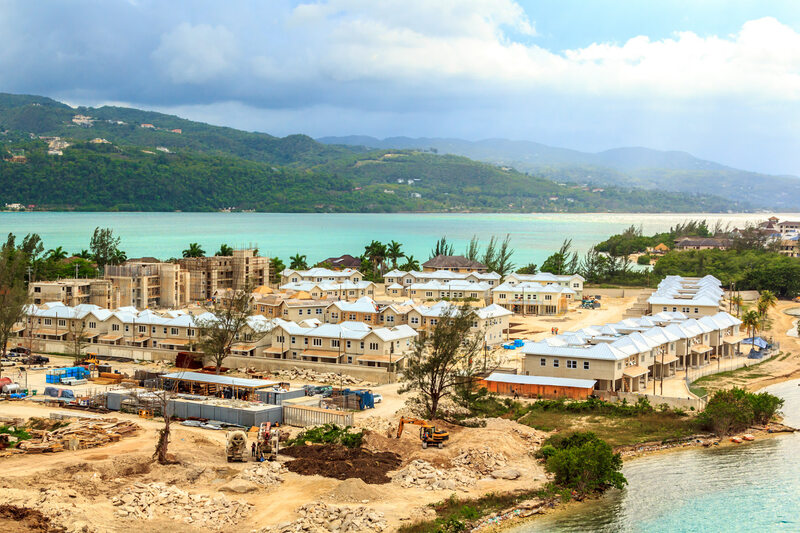 The tugboat Peacemaker plies the waters of Jamaica’s Montego Bay. 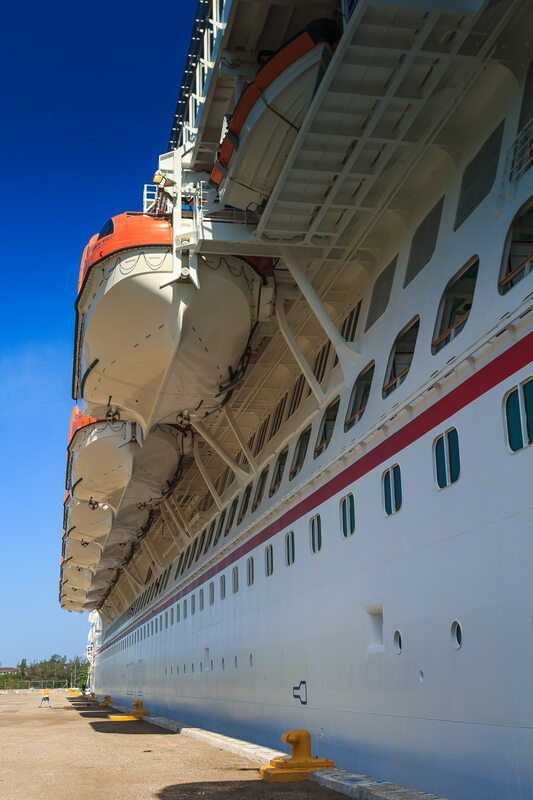 The starboard lifeboats of the cruise ship Carnival Magic while docked at Montego Bay, Jamaica. 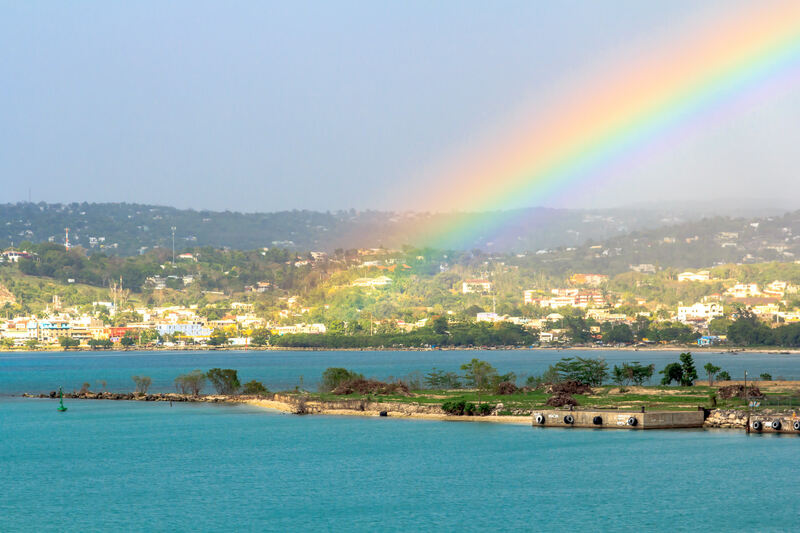 A rainbow—remnants of an afternoon shower—arcs over Montego Bay, Jamaica. 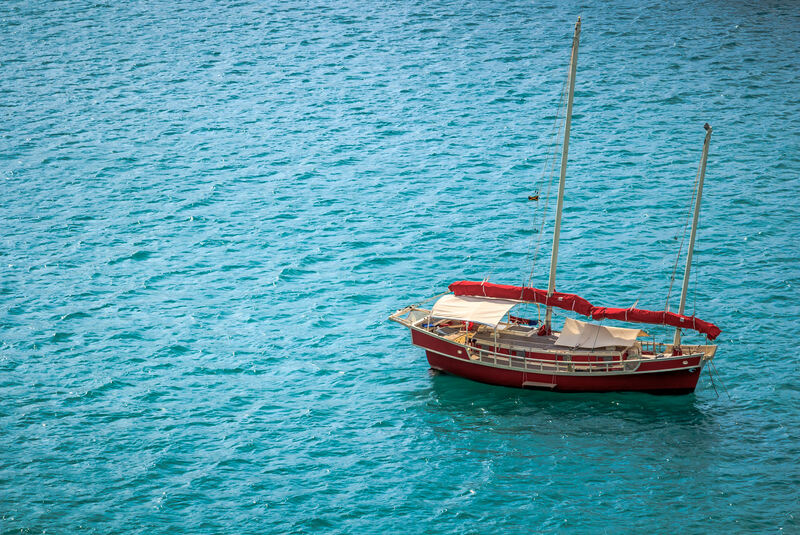 A red sailboat spotted at Montego Bay, Jamaica.